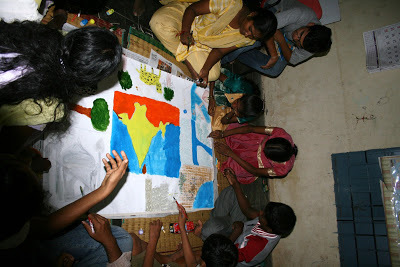 Deepam > Blog > Collaborative Painting! Got to “hand” it to the kids – a truly united effort!! creativity with a “hands on” (paper) experience!